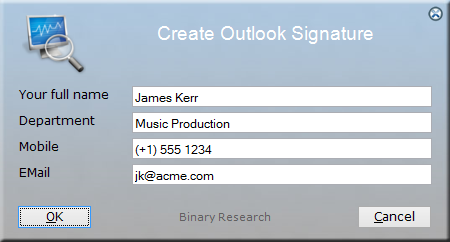 On www.outlooksignatures.com, it is explained how to mass-deploy a corporate signature. If your Active Directory is not current with all information, it is not possible to push a signature automatically. Or your preference may be not to automatically overwrite users' signatures. This page demonstrates how to build an exe file that users can start ad-hoc that pre-populates with Active Directory information, but lets users overwrite information before installing the signature. 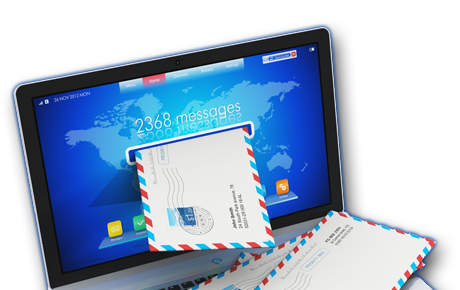 Note how we are now using variables named "UserName", "Department", "Mobile" and "Email". Let's create a script that asks the users for this information and then creates the signature based on this information. You can insert this script in Automation Studio in the Script Editor by selecting "Simple Signature App" in the "New Script" window. So when we execute this script, the user name is pre-filled, but the rest of the information must be filled in. All we need to do now is to build the self-contained exe file. 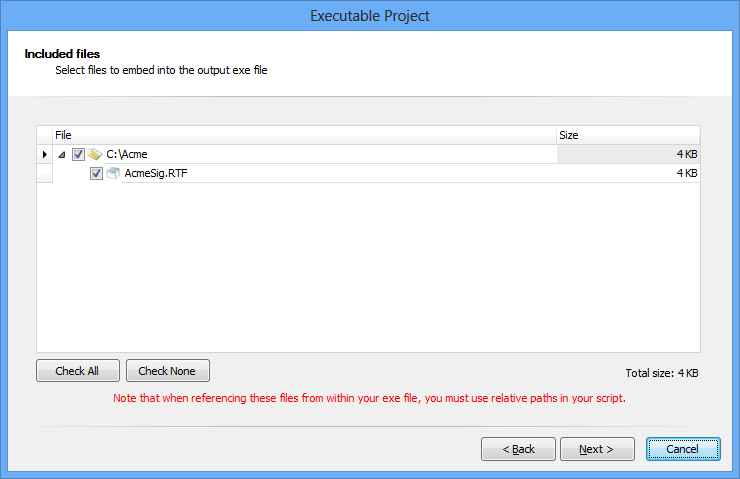 Go to the "Create Exe File" menu in the script editor and select "Advanced Exe File Compilation". 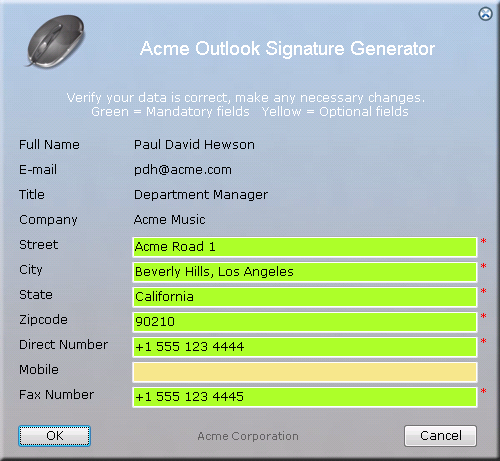 Make sure you include the AcmeSig.docx, as shown below. You now have an exe file that your users can use. Note how some information is locked, other is editable and the mobile phone number is optional. All information is prefilled based on our Active Directory information. The script is explained under the listing. You can insert this script in Automation Studio in the Script Editor by selecting "Advanced Signature App" in the "New Script" window. ShowErrorMessage Information is missing in our central employee registry. Please contact the IT department. SetMultiInputCaption "Verify your data is correct, make any necessary changes. [Return]Green = Mandatory fields Yellow = Optional fields"
The next thing that happens is that we check that the company and title is set in the Active Directory. If it isn't, we do not allow the user to set the signature, as we don't want users to decide what their titles are. The next configuration section defines the header caption and the appearence and types of the fields in the MultiInput window. Once the user has filled in the information and clicks OK, we will show a small splash screen while the signature is installed, just in case it takes more than a couple of seconds. Once the signature is installed, we will ask the user, if they want to preview it. 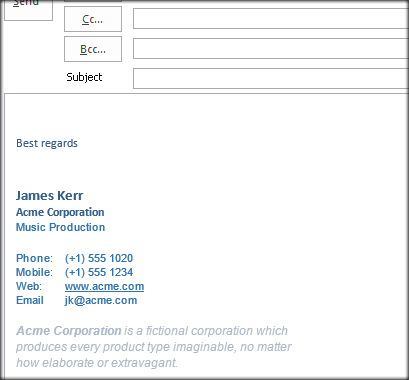 If the user clicks "Preview Signature", we will just open a blank email. 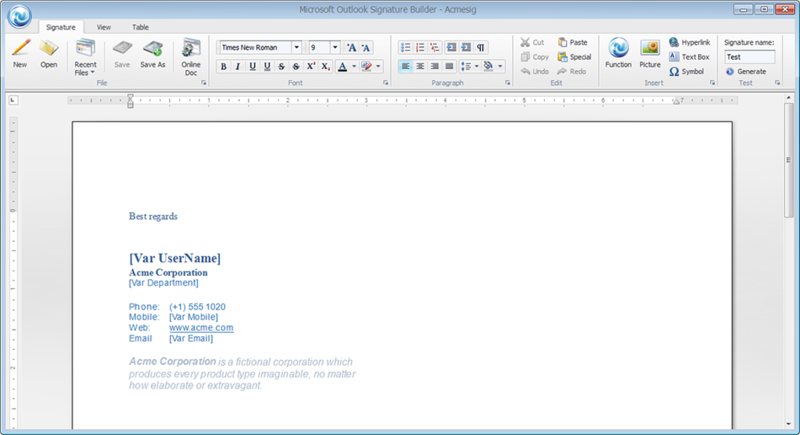 Notice that there were two Microsoft Word template signature files (.docx files) in the script. If the user has a mobile phone, we are using one Word file, if the user does not, we are using another. The one listed below is the Word file used, when the user does not have a mobile phone number. Notice how all the variables used in the MultiInput form are used in the Word file as variables.